With a stay at Hotel Hacienda de Castilla, you'll be centrally located in Cancun, within a 15-minute drive of Tortuga Beach and Market 28. This hotel is 9.3 mi (15 km) from La Isla Shopping Mall and 9.3 mi (15 km) from Cancun Interactive Aquarium. With a stay at ibis Cancun Centro in Cancun (Downtown Cancun), you'll be a 5-minute walk from Dubai Palace Casino and 10 minutes by foot from Plaza Las Americas. This hotel is 0.6 mi (1 km) from Galenia Hospital and 5.9 mi (9.4 km) from Tortuga Beach. Make yourself at home in one of the 337 air-conditioned rooms featuring minibars and flat-screen televisions. Wireless Internet access (surcharge) keeps you connected, and cable programming is available for your entertainment. Private bathrooms have complimentary toiletries and hair dryers. Conveniences include phones, as well as safes and coffee/tea makers. Cancun Bay Resort is located in front of the Bay of Isla Mujeres, on a beautiful beach by the Mexican Caribbean Sea. 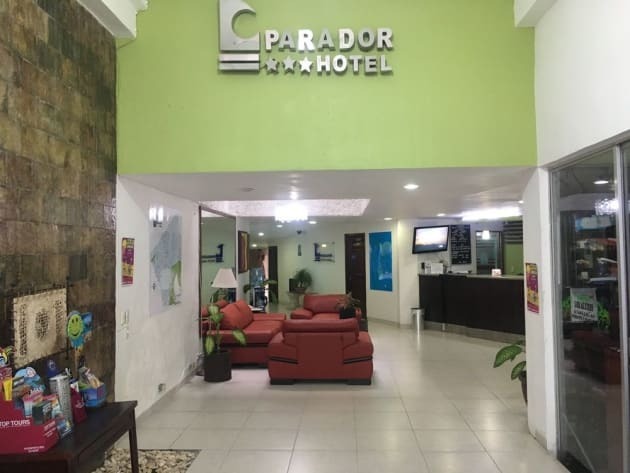 Excellent location and only 3.5 km from the Cancun Downtown, it is ideal for everyone that wants to relax and take advantage of the beauty of Cancun or those who want to have fun and live the nightlife of this destination. Cancun Bay Resort offers daytime activities, 2 swimming pools, Jacuzzi, 2 bars, an air-conditioned restaurant and a snack on the beach, massage palapas with additional cost, free WIFI in public areas, ping pong table, reading area, parking , ATM, travel agency, car rental and concierge service. Grab a bite to eat at one of the property's many dining establishments, which include 8 restaurants and a coffee shop/café. Mingle with other guests at the complimentary reception, held daily. Wind down with a drink at one of the 9 bars/lounges or 3 poolside bars.